Discovered at age 20 by celebrated director Ingmar Bergman, Harriet Andersson became part of Bergman's regular stable of actors. She came to establish herself as a Bergman muse and even accepted the Academy Award on his behalf in 1962 for the Best Foreign Feature, Through the Glass Darkly. Extraordinary and versatile as an actress, Andersson often played working class heroines in Bergman’s body of work. Features like Smiles of a Summer Night (1955), Through a Glass Darkly (1961), Cries and Whispers (1972), and Fanny and Alexander (1982) are just a few examples where Andersson was a Bergman regular. Throughout the years, she continued working both in the native Sweden and internationally and in 2003, she received critical acclaim in Lan von Trier’s Dogville. 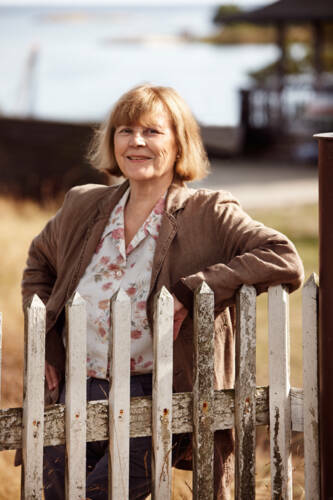 Andersson has won several acting awards, including the Swedish Guldbagge Award, the Norwegian Amanda and best actress awards on the Venice Film Festival in 1964. Harriet Andersson even received the Bodil Award for Best Actress for her role in the Henning Carlsen Danish comedy People Meet and Sweet Music Fills the Heart. In 2010, she won the Lifetime Achievement Award at the Stockholm International Film Festival.